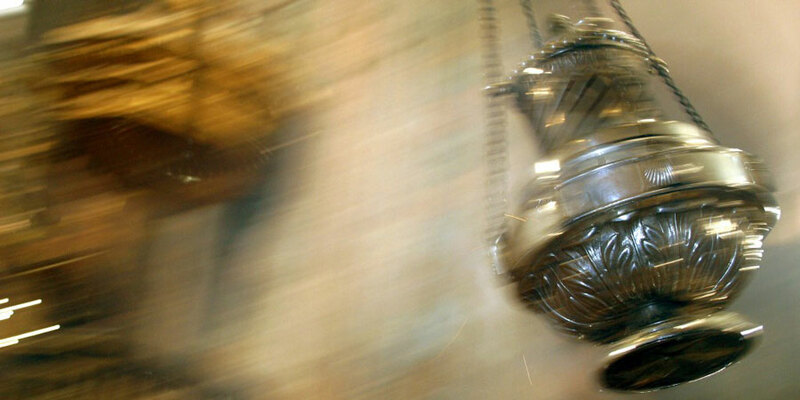 The ‘Botafumeiro’ is the famous giant thurible or censer in Santiago de Compostela cathedral. A ‘Botafumeiro’ has been used since the Middle Ages, originally to clean the air when crowds of pilgrims having completed the Camino de Santiago arrived in Santiago de Compostela after their long journey. The Codex Calixtinus, the first Camino de Santiago ‘guide-book’, refers to the ‘Botafumeiro’ as Turibulum Magnum, which means this ritual has been taking place at least since the 12th century. The current ‘Botafumeiro’ dates back to 1851 and it’s made of silver-plated brass, weighting 53kgs when empty and up to 10 kgs more when full. Eight men, called ‘tiraboleiros’, are required to operate the ‘Botafumeiro’. After being filled with incense and coal by the ‘tiraboleiros’, the 1,5mtr-high ‘Botafumeiro’ is tied to a rope hanging by the altar and set in motion with great precision, forming an impressive 65-metre long arched trajectory along the cathedral. In only a minute and a half, the ‘Botafumeiro’ reaches 68km per hour. The ‘Botafumeiro’ is used on special dates throughout the year for important liturgical celebrations such as Christmas Day and Saint James Day. The Botafumeiro can also be requested and booked by individuals (you will need to check with the cathedral for fees). 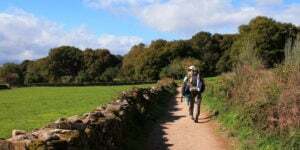 To help you plan or book your Camino de Santiago holiday, contact our travel consultants. 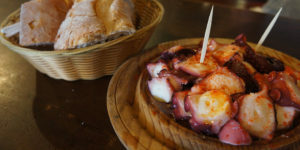 Hi, My mom and I are going to be in Santiago de Compostella for Christmas day. 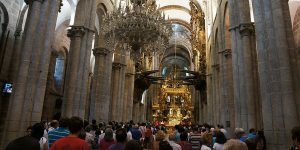 From the cathedral’s website it seems that there are numerous mass times, do you know which is when the botafumiero is held? Thanks for this information… Me and my wife are planning to make a pilgrimage (on foot) the coming August. I am thinking to reach the Cathedral on August 15 (Assumption of the Blessed Virgin). What time do you think that the mass will start, and what time do you advice to leave Salceda? Hi Rick, it is called the artichoke and it is used to tighten the ropes. Kindest regards, Lisa. What was the device that was put on the end of the rope after the censer was removed? Some sort of pendulum? Good Morning Charif, thank you for your query. I am going to pass it on to our travel team so that they can best answer your questions. Kind regards, Lisa. And we are my wife maria and three girls . Please if you can help me if the 22/23 of July is the best time and small advice about the botafumerio it will done every day during the week festival? One more question about the accomodation if any advice ? Hi Maria, I will be in Santiago on Friday March 10th. Do you know if there will be botafumeiro at 19.30hrs? Hi Chris, pilgrim mass is at 12 every day but the Botafumeiro can be seen at the 7:30pm mass each Friday (not the pilgrim mass). I hope this helps.